The iPhone 4S sports a higher-resolution 8-megapixel camera, but beyond the pixels is a greatly improved lens that will allow for faster picture taking, and image stabilization when shooting 1080p video. Leading up to this Friday's launch of the iPhone 4S, AppleInsider will offer a closer look at some of the features of the next-generation handset. Given that the 'S' in the device's moniker was never officially defined by Apple, we offer five potential definitions. Today: 'S' is for the camera Shutter. One of the defining features of the iPhone 4S is its 8-megapixel camera, besting the 5-megapixel shooter found in the iPhone 4 by 60 percent. That offers photos with a much higher resolution, as demonstrated by sample pictures provided by Apple, and can even be used in prints as large as 8x10. But there is much more to the new camera than picture pixel density. One new aspect of the lens is a larger f/2.4 aperture that catches 73 percent more light than the one found in the iPhone 4. Apple says that the custom lens in the iPhone 4S uses five precision lenses, up from four in the iPhone 4, to shape incoming light and provide sharper images. The iPhone 4S camera also features a high-end infrared filter, which gives it greater color accuracy and uniformity when shooting photos. A new illumination sensor has also been engineered with increased sensitivity and a shorter exposure time. This means the camera will offer better pictures in both low-light and bright situations. The lens also starts up a third faster, allowing for users to snap pictures even more quickly. And with iOS 5, a double-tap of the home button when the handset is locked displays a camera icon on the lock screen. From there, users can access their camera even more quickly, with just one tap. Apple has said that the time to shoot a photo is the fastest in the industry. iOS 5 also gives users the ability to use the volume-up button to snap pictures. Users can simply press the hardware button on top of the device for picture taking, rather than tapping on the screen. And the software update will allow users to edit photos on their iPhone as well, from right within the Camera application. Built-in editing features include photo cropping and rotation, image enhancements, and red-eye removal. On the front side of the device, the iPhone 4S maintains a forward-facing camera for FaceTime video chat and more picture taking options. That camera is believed to be unchanged from the iPhone 4, shooting VGA-quality photos and video at up to 30 frames per second. Exclusive to the iPhone 4S and its dual-core A5 processor is face detection in still images. With face detection, the iPhone 4S will intelligently recognize and focus on individuals' faces. Using this feature, the new iPhone can focus on the most prominent face in a frame, and will balance exposure for the digital picture for up to 10 faces in a single photo. That functionality may be powered in part by Polar Rose, a Swedish company that has created technology for facial recognition. Apple bought Polar Rose in September of 2010 for a price believed to be around $29 million. Apple's promotional materials state that the A5 chip found in the iPhone 4S includes an image signal processor "just as good as the ones found in DSLR cameras." With the power of the A5, the iPhone 4S promises "zero shutter lag." "The camera also uses advanced algorithms in iOS 5 for even more color accuracy, better white balance, and greater dynamic range," the company says. "When you see your photos, you'll see exactly what that means." The iPhone 4S now shoots video in full HD 1080p, outperforming the 720p video of the iPhone 4. Shot at 30 frames per second, the 1080p video is also boosted by the advanced illumination sensor found in the iPhone 4S lens. Coupled with the camera's larger aperture, even more light is captured with the iPhone 4S lens, resulting in brighter and more accurate videos. The new iPhone also boasts improved auto white balance for accurate colors, and temporal noise reduction for improvements with low-light video shooting. The addition of real-time video image stabilization will greatly reduce the shakiness that often occurs when shooting video with a smartphone. The image stabilization functionality is boosted by the gyroscope found in the iPhone 4S. Apple's plans to use the sensors in the iPhone to stabilize video recording was revealed last month in a patent application detailed by AppleInsider. It described a system using motion sensing data to compensate for any jittering in a recorded video. The iPhone 4S also features "tap to focus" like the iPhone 4, but expands on its functionality. When recording a video with subjects in the foreground and background, the iPhone 4S allows users to focus where they want by tapping the screen. Users can change the focus of a video while recording with the iPhone 4S by tapping on various subjects displayed on the handset's touchscreen. When the focus changes, the iPhone 4S automatically adjusts the lens exposure to match the appropriate lighting. iOS 5 also adds built-in video editing functionality that allows users to quickly trim a clip from within the Camera application on their iPhone. More advanced editing features remain available through the iMovie application sold on the App Store. For more, see AppleInsider's first installment of "Inside Apple's iPhone 4S," entitled "'S' is for Siri voice recognition." How can you have an entire article entitled "s is for shutter'" when the iPhone doesn't actually have a shutter? Are we getting that lax now? Do facts not matter at all? One thing I do wish they would have improved in the camera app is the tiny still/video toggle. I can't count the times in an outdoor setting that I've had it set opposite what I wanted and couldn't see. Lost lots of good pictures that way. Does gyro-aided image stabilization work with still photographs or just video? I question your contention that there is or isn't a shutter. However I do agree that saying 'S is for Shutter' is banking on a meh detail. All the truly amazing changes are tied to the sensors so that should the S.
Holy crap, that's pretty amazing. Give it some kind of effective optical zoom, and I could throw away my point & shoot. I'm just hoping the rolling shutter artefacts aren't too bad with the video camera. Sherman's professor is still correct... there's no actual shutter. There is an electronic/digital function that is comparable to a shutter... but no actual shutter. And when you do see, the delay in the toggle has led to more than a few lost photographic moments. Assuming this is real, this is pretty impressive? 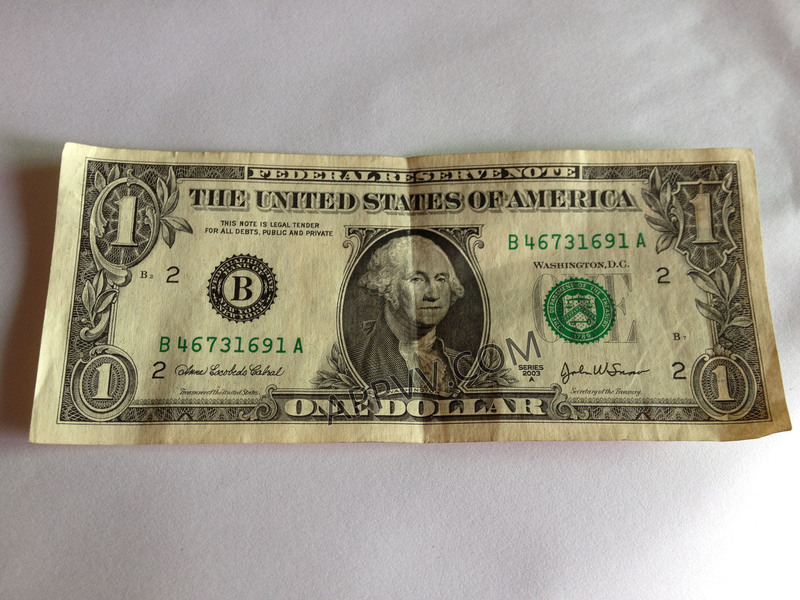 No, that's a counterfeit greenback, for sure. "The lens also starts up a third faster". Umm...iPhone lenses don't "start up". What makes you think it would not? The shutter can be controlled 100% electronically (hence the name "electronic shutter") and can have many different values for shutter speed. View EXIF for more information. Since the lenses are not static, there may be spinup time for the servos controlling the AF. Cell phones and other digital cameras of this type do not have a shutter. They imitate the effects of the shutter digitally. To do an article about a cell phone camera and imply that it's new and improved because now it has a shutter, is a misrepresentation. There is also hardly even a mention of shutters in the article, and nothing about the new camera's digital approximation of a shutter that is either different from the last iPhone camera or any other cell phone camera. At least as far as the article describes. It's just a generally poor and misleading title. S is for speed, S is for Steve maybe, but S is definitely not for shutter. Very good camera, which will certainly affect the compact camera market, but here's hoping the camera load doesn't slow down as bad as it did on the iPhone 4. It used to be a lot quicker, but now takes around 4-5 seconds to open for me now. Or maybe it just seemed quicker before. Maybe 'S' is for sense of humor?